Otto Ecoteca Pizzaria right near Washington Square Park in NYC has more than just amazing pizza, they have wine classes every Saturday. 5 wines along with meats and cheeses to pair for $45, a great deal considering that most places in Manhattan charge upwards of $10 for just one glass of wine. I decided to do this class/tasting with Elena – blogger for vinetunes.wordpress.com The instructor was very knowledgeable… not only were the wines delicious but since my Italian wine knowledge is limited I was happy to learn more about the great wines from Italy! This is a very high acid wine with a finish that I’d compare with sucking on a lemon. Not a surprise considering the cirtusy nose. We were told that the grapes were picked for this wine before they were fully ripe which makes sense since as grapes age the acid level goes down and sugar goes up. No sugar present here… this wine was crisp, and bone dry. A bit too acidic for my taste. 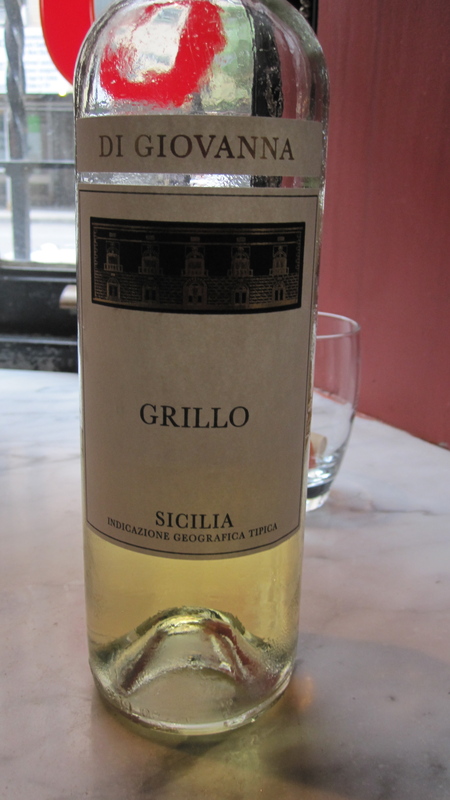 Big nose on this wine – ripe apples and pears, and a minerally scent as well. Those minerals really come out on the mouthfeel and the finish was citrusy and acidic. Also a white pepper bite on that finish and the minerals really linger. 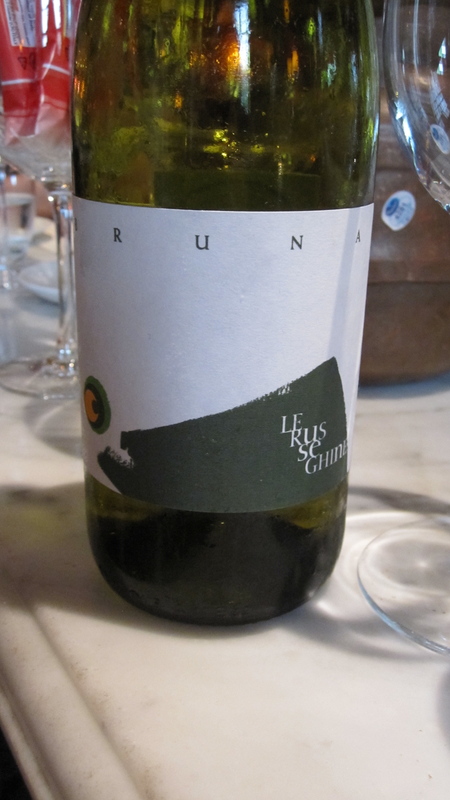 These grapes were grown in limestone soil and it really comes out. Pretty neat that the fruit was definitely present, yet the terroir showed through… and I did enjoy that white pepperiness. Ruby red color, looks like a pinot. Smells like a pinot too, cranberries, raspberries, dirt and mushrooms. Ripe fruity mouthfeel, tons of black pepper on the finish. 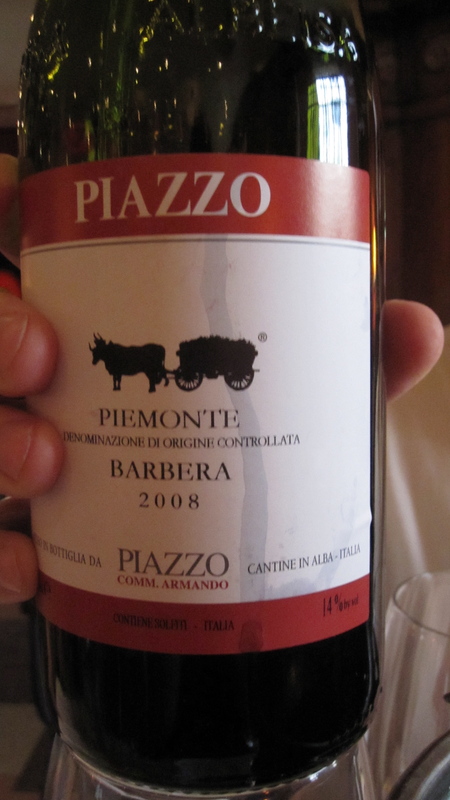 Some tart cherries on that finish as well… excellent fruit in the glass and this was acidic, no tannins present here. So it was dry, but definitely not big. As a pinot drinker, I liked the body and fruit on this wine. Same grapes as the last wine, but what a difference! Darker, more tart fruit on the nose and a much dryer finish. 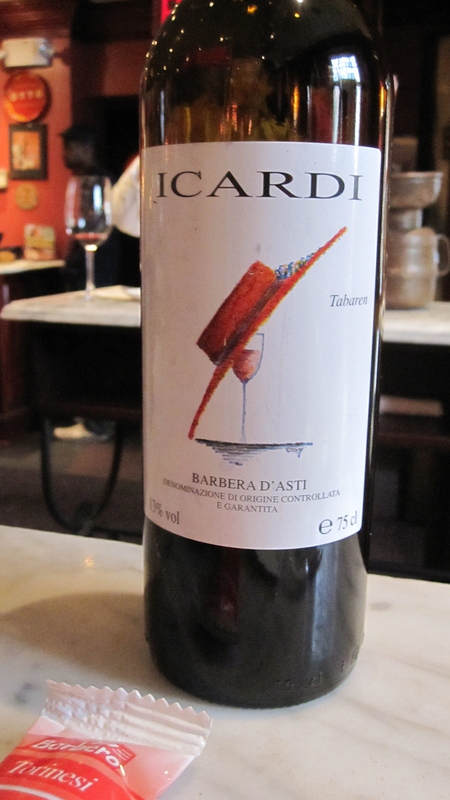 Lots of tannins are present here and there’s more acid on the finish than the Acardi. I prefer the smoother finish of the Acardi, but have to say this is a complex, well made bottle. 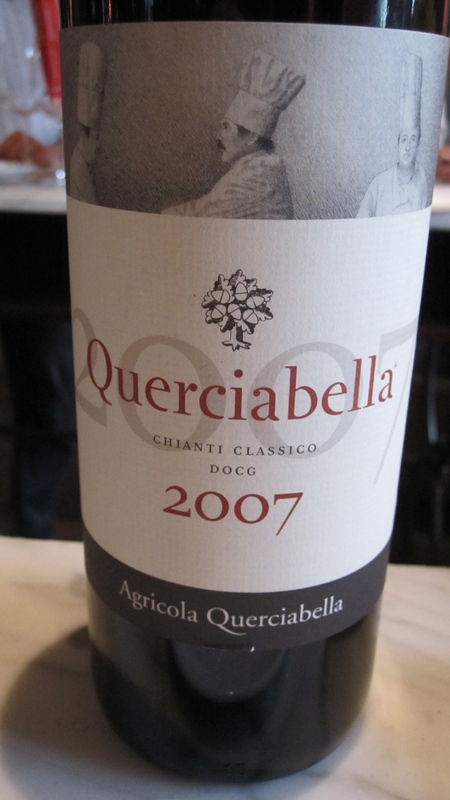 Ever wondered what the difference is between Chianti and Chianti Classico? Mostly the region. Chianti comes from the hills of Florence, and Classico is from the heart of Tuscany. I usually prefer Classico, so I was excited about this bottle! Dark fruit (think currant), pepper and dirt on the nose. 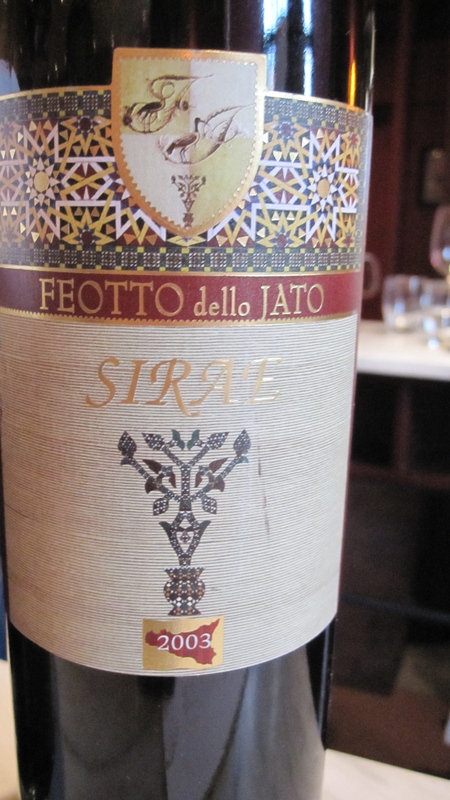 Love, love, love the mouthfeel on this wine… delicious fruit that lingers on the dry finish. Excellent with the cured meat we were served at the tasting :-) I loved that this wine did not have the bone dry finish many Chianti’s have, and just loved the fruitiness. Dirty, dirty nose! Smells like blackberry jam smothered in dirt! Some prunes on that nose as well. A definite fruit bomb with dark fruit really popping out and a licorice aftertaste. Definitely a different style than the smoky syrahs you’d get in California. But I liked the dirtiness!